Have you been trying to trim your body and get the weight down but nothing seems to work? Are you tired of trying fad diets and diet pills which make you feel awful? Change your thinking and try another approach with a weight loss shake that contains completely natural ingredients to get the job done. Every day, we put things in our bodies that don’t belong. Artificial ingredients, chemicals, too much sugar, loads of sodium, and colourings should not be in our foods. However, many products are filled with undesirable substances that are not natural. If you are including poor choices in your daily regimen, chances are that you don’t feel great and your weight isn’t where it should be. You can turn your life around with a simple change, choosing to take in natural ingredients that are so much better and will help your body to achieve optimal performance. 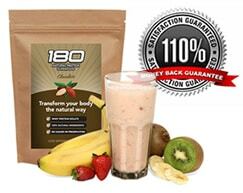 180 Nutrition has developed a protein supplement that comes in a powder in coconut or chocolate flavour. 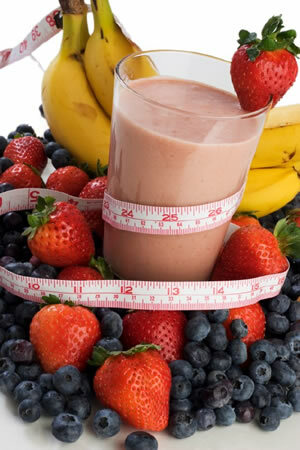 When used in a shake, it is perfect for kickstarting your weight loss plan. You could substitute a shake for breakfast or lunch. Try it for both, including healthy snacks and a balanced meal in the evening. If you have to have a boost in the afternoon, a shake with this protein powder will definitely give you more energy. When you lower your intake of carbohydrates and increase your protein levels, your metabolism will get fired up. You’ll start to build muscle and burn fat. Your body will get what it needs from these weight loss shakes that only contain natural super foods. Expert nutritionists knew what they were doing when they created a formula of natural ingredients which are prepared in such a way to get the maximum benefits from the contents. You’ll have to make other changes as well. You can’t rely on the shakes alone. When you do have other meals and foods, make wise choices. Fresh fruits and vegetables, fish, and lean meats are best to fuel the body. Moderation is important as well. Remember portion control and don’t overindulge in alcohol or the sweets. Try to eat when you are hungry, rather than by a time table. 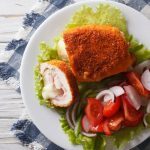 Many would recommend several small meals a day instead of three larger meals. See how weight loss shakes can curb your appetite. Don’t forget plenty of water, the importance of a good night’s rest, and exercise. You need to get the heart pumping and the body moving to sculpt muscles and trim away the excess as well. Give yourself time and be patient. When you begin with weight loss shakes and make other positive changes, you’ll be happy with your results.